PartyPlanCompanies.com is one of the most popular and well-known party plan websites for women in Direct Sales. PartyPlanCompanies.com allows women to find the perfect Direct Sales opportunity as well as their ideal rep and team to join. PartyPlanCompanies.com also allows women to locate their favorite products and reps in their local area. More Items are Added All the Time so Check Back Often! No Website? No Problem! 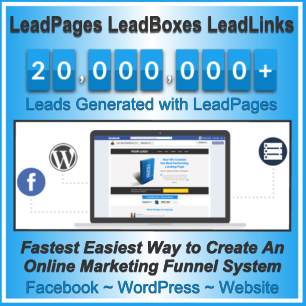 LeadPages Provides Everything You Need! CoolPreviews is a free browser add-on that lets you preview links and media without leaving your current page. Simply mouseover any link or our CoolPreviews icon, and a preview window instantly appears with your content. No more clicking back and forth! I especially love this add-on for social media! Once you use it, you won’t be able to live without it! Signals by Hubspot is their email tracking system which alerts you with a slider message that the recipient has opened the email as well as other important information such as links clicked, etc. Signals runs as an app on Apple iPad/iPhone devices or as an add-on in Google Chrome which is a free browser like IE and Firefox. Full tracking details are also available via the app and add-on if you miss a notification slider. It is FREE for 200 emails tracked per month and only $10/month to track unlimited emails! 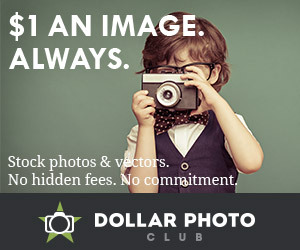 You can also earn a free months if you refer a friend who tries the service for FREE! RoboForm remembers your passwords so you don’t have to! Just remember your one Master Password and RoboForm remembers the rest! Bookmark-style Logins automatically log you in to your favorite websites with one click. I especially love the Form Filler to automatically fill out forms. I have one profile set up for personal information and one profile for business so I can complete forms with one click. I also recommend the RoboForm Everywhere version to sync all devices. Some resources on this page may be affiliate programs where I am compensated for recommendations or referrals. However, I only recommend people, products, companies and services that I have used in my own business and I trust to recommend to others.